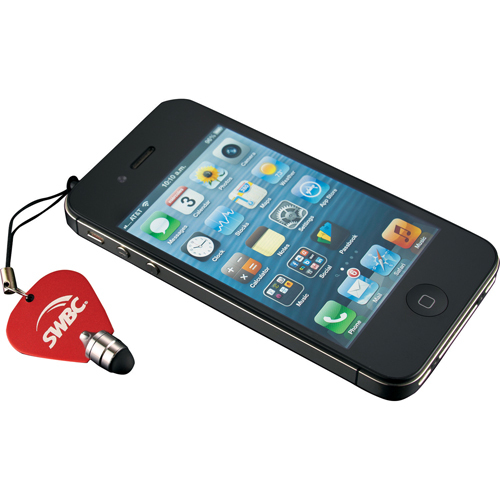 Work or play like a rockstar on your capacitive touchscreen device like iPad, iPhone, iPod Touch, or Android OS Tablets and Smarpthones with the guitar pick shaped stylus. #guitarpickstylus. The stylus conveniently attaches to your smartphone or tablet via the 3.5mm audio jack so while you are on the go you always have a stylus with you. The soft rubber tip eliminates fingerprints and smudges from your device. 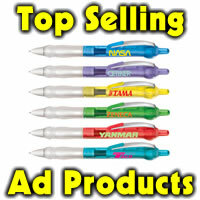 Imprinted in one color, this can have your logo or information right in people’s hands. 0.38″ H x 0.75″ W. 288-399 2.20 ea, 400-749 2.15 ea, 750-1000 2.10 ea, 1000 or more 1.80 ea. Available in black, red or gray. Item # 7140-20. Looking for a tech related gift or trade show giveaway? 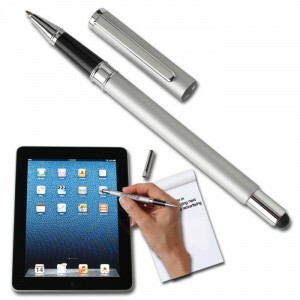 New stylus has slim barrel with soft rubber stylus for touch-screen devices. Plastic clip. Available in black, royal blue, gold, red or green. Imprint area is .20″ x 1.5″. One color imprint recommended. Min 500. Set up is 50.00, exact re-order set up is 25.00. 500-749 1.07 ea. 750-999 1.03 ea, 1000-2499 .98 ea, 2500+ .89 ea. This item is new and will be a hot seller so order soon! Item #SM-3850. 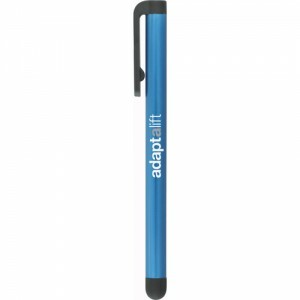 Versatile touch screen stylus and ballpoint pen combination that can be used on any capacitive touch screen device, including today?s smart phones, PDAs and tablets. This TouchWrite stylus provides precision screen touches, useful for those small icons and areas of the screen where the finger can accidentally touch the wrong item. It’s perfect for people with limited finger mobility. Comes in silver matte or black gloss finish with chrome trim with medium point, black ink in the pen. Imprint color: Your choice of black, blue, green or red on silver; silver or white on black. The imprint area is 1?3/4″w x 3/4″h. Product weight is 6 lbs/100. Each comes in individual black suede pouch. 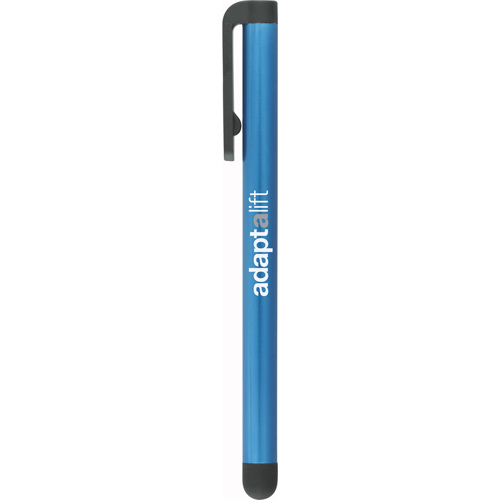 Great for tech related conferences, tradeshows, drop in gift for gatekeepers and customer appreciation. We’ve also partnered up with a company offering promotional fashion jewelry worn in the mouth. They offer fully customizable gold teeth (typically known as grillz) with any designs or logos. Visit their website if you’re interested in finding out how much do grillz cost.